Premier Chiropractic for a Premiere Life! Are you suffering with back pain? Are you unable to do the things you enjoy? Do you miss being active? Do you just miss the way life used to be? You are probably here right now because you are ready to finally experience less pain, more movement, more energy, less stress and a greater overall sense of balance in your life. 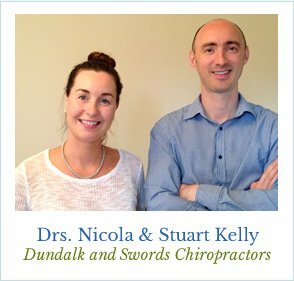 “We understand how important it is for you to heal and get back to the life you love,” say Dundalk chiropractors, Drs. Stuart and Nicola Kelly. At Premier Chiropractic we’ll show you how you can have a greater overall sense of balance in your life, experience less pain, less stress and more movement and energy using natural solutions without side effects. Regardless of what brought you here, you’re in the right place. The Time is Now, Let’s Get Started! If you’re ready to experience a higher level of well being in your life, team up with us as we work together towards premier wellness. Get involved and let the healing begin! Like our Facebook page by clicking here. Sign up for our free newsletter that answers many of the questions you may have about chiropractic care and how we can help. (Dundalk) or 085 724 4706 (Swords) so we can discuss your needs and set up your first appointment! Remember, we’re here to encourage and support you along the way. You can feel great again; we’ll make sure of it! I thought the attention I got from the minute I walked in , was second to none. Nicola was great and treated me as a person and not just another client. The treatment I got made the world of difference to my everyday life, and being a mother of three it just made my life a whole lot easier. I feel confident with the treatment and with Dr. Stuart. From Mary’s smile at reception to Dr. Stuarts warm and unpretentious attitude I was made to feel at ease straight away. I knew they were going to help me with my recovery. Lovely staff can never do enough for you very welcoming and always polite. 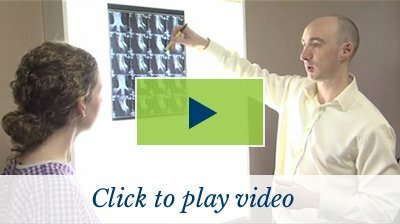 I received treatment on several occasions and within a number of weeks the dull sharp pains from the lack of movement had cleared pretty much altogether. I would highly recommend it to anybody who suffers from joint pain or lack of mobility/movement 5 stars!